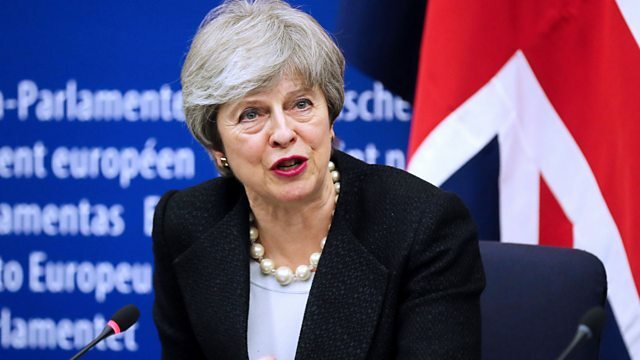 The political commentator Steve Richards talks to key insiders about the prime minister's decisions, leadership and diplomacy through the turbulent years since the EU referendum. What does Theresa May think about Brexit? How did she arrive at key decisions? What do those decisions tell us about her personality and style of leadership? How did she run Downing Street and what were her relations with the rest of government, Whitehall, parliament and the EU? The second part takes up the story from Autumn 2017, following the progress of the prime minister's Brexit negotiations and focusing in particular on the vexed issue of the Irish border. We look back on the run-up to the unveiling of the prime minister's detailed proposals at Chequers in July 2018 and the dramas which followed.